Downtown Bangkok cityscape seen at dusk from the State Tower's Sirocco sky bar (ARCHIVED PHOTOS - on the weekends). 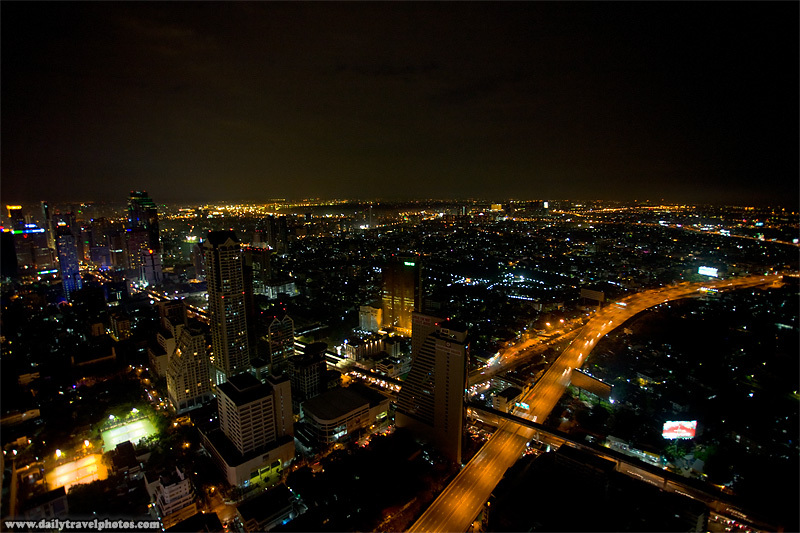 Downtown Bangkok cityscape at night (ARCHIVED PHOTOS - on the weekends). Thought for a moment that this meant you're in Bangkok... I'm going to be based here for the next 6 months in case you're passing through anytime soon! Amazing shot. I really need to hit this place up sometime soon. 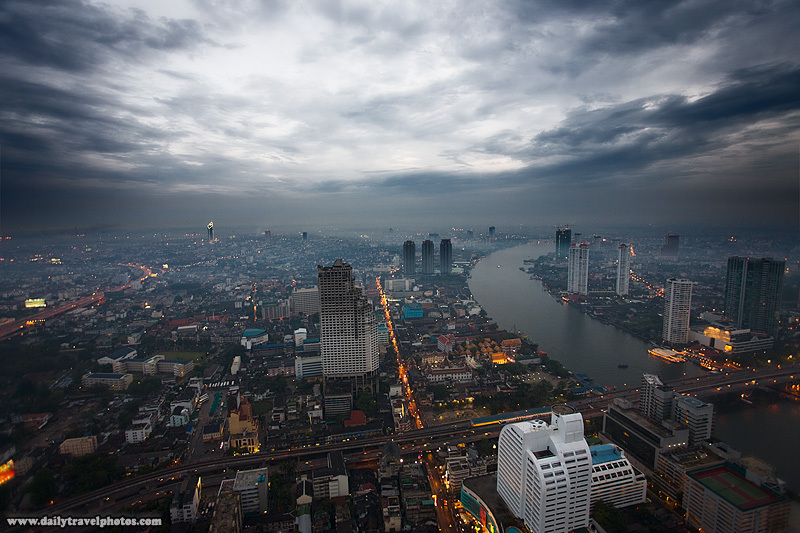 Une des plus belles photos de BKK visibles sur le web. Tu n'aurais pas fait aussi une autre capture, au même moment, du même endroit -RCK- mais en cadrant plus à droite ? On y voit les balcons arrondis de l'immeuble en avant-plan. Le ton général est très bleuté, comme modifié après cliché.